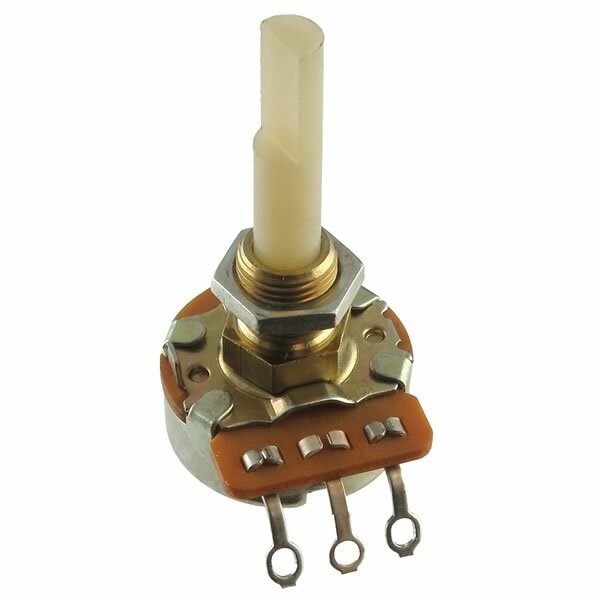 100KΩ linear taper potentiometer. Rated 2W. Size of body is approximately 0.936" wide x 1.08" tall x 0.4" deep (excluding bushing/shaft and leads). Has a 0.25" diameter x 1" long "D-type" plastic shaft. Bushing is 3/8" threaded x approximately 0.5" long. Has 3 solder eyelet leads. Includes panel mounting nut.